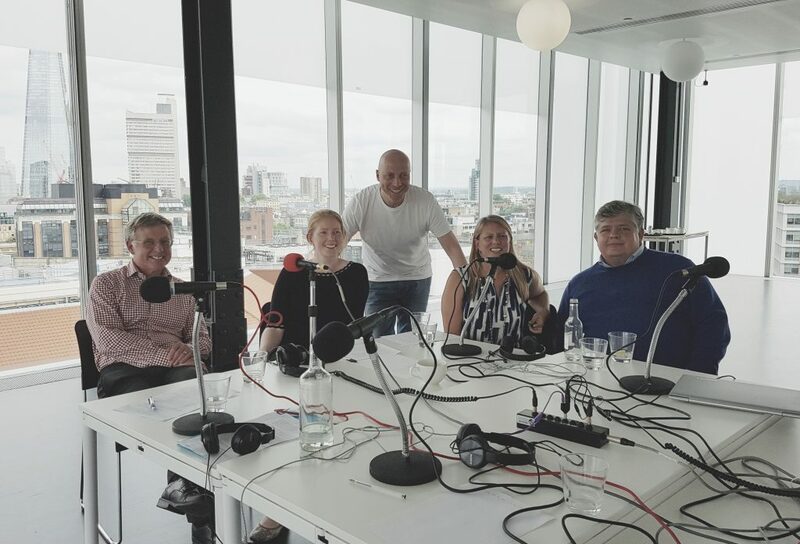 Recorded on location at Tate Modern, Show 53 was produced in partnership with A Blueprint for Better Business as part of their 10 Steps to Fulfilment at Work series. On the panel were Blueprint’s CEO Charles Wookey, their Senior Advisor, Norman Pickavance and On Purpose Associate, Jo Alexander. They were also joined by Ruth Dobson, an Independent Consultant. The aim of the show was to help listeners seek inspiration for their business by stepping out of their comfort zone and visiting places unrelated to their line of work. Charles began by explaining the background to Blueprint, a charity set up in 2014 that puts people rather than profit at the heart of business. They have set up five principles of a purpose driven business and a framework to think about relationships within organisations that help them to put people at the centre. Blueprint now works with around 18 of the FTSE 100 businesses and work with consultants and senior advisors to implement the plan within those companies. Jo is a geologist who worked at BP for 11 years. She joined BP when she felt they had a mission she could get behind because she said Lord Browne, BP CEO at the time, was trying to transform the business form an Oil & Gas business into an Energy Business were Alternative Energy was an important part. However, over her time there, she felt that mission changed, which made her question why she was still there. Norman describes himself as an advisor, an author and also an activist. He feels the role business plays in society is all encompassing – his strong view is that there is a deep need for businesses to reconnect with society and he cites Modern Slavery as a typical issue, claiming that there are more slaves today than there were in the 1800s and 1900s. He believes this is something businesses can strongly influence. Ruth is a chartered accountant and worked for 16 years at PWC, nine of those, from 2001-2010, based in China where she was helping businesses to invest there. She explained that the growth in China’s economy during that period was phenomenal, and the number of people who came out of poverty and into a better economic situation in that time in unprecedented in history. However, what she came to realise that the impact of this on the environment, in terms of pollution to water and air pollution for example, was devastating and that the huge changes in Chinese society were very problematic, for example, with children being left behind to be looked after by their grandparents whilst their parents have gone to work in the city. Having been very absorbed in the corporate world, travelling long hours and not paying attention to her health, and feeling that people were not at the centre of where she was working, she decided to take a step back and took a year out to assess what she wanted to do. She ended up cycling across Africa! But when she returned, she felt totally revitalised. Linking Ruth’s trip to the subject of the podcast, Jo added that it is important to empty your head sometimes. For example, when she left BP, she turned her hand to crafts to get her creativity flowing. But Norman picked up on both Ruth and Jo’s stories highlighting the degree to which modern business doesn’t allow time for people to have any other dimension to their lives. He said that in reality there is an expectation on people to be there 24/7 and to always be on the job, but one of the challenges with that is that people become cut off from the world around them and start to develop a very narrow view of what’s important, resulting in becoming obsessed with their work, because they have to, to survive in those environments. Referencing the fact that the show was being recorded at Tate Modern, Norman said that sometimes art or travel can get you to step outside of that [work] bubble. He referenced the fact that Denis Healey famously described his interests outside of politics as his ‘Hinterland’ but also the need to have as broad and deep a hinterland as possible, as otherwise, what is it that you are bringing to your work – what other perspective and balance is there? Norman’s concern is that so many senior executives today don’t have much of a hinterland to the detriment of their lives but also the way in which they lead their organisations. On this point, Ruth now works with a couple of initiatives where the idea is to takes senior execs out of their comfort zone. She said that so many of them were so engrossed in their corporate work, they do not see the bigger picture and their responsibility to society. Ahead of the podcast, the guests were given the task of walking around the Tate Modern (which is free to visit) and coming to the recording having chosen one of the exhibits that had inspired them that they could then talk about how they would use it in their workplace or with the companies they consult with. The Workers Maypole by Andrea Bowers. This was Jo’s choice and she explained that Andrew Bowers had recreated something that was made in 1894. It shows people dancing round a maypole with banners that display slogans such as dignity, free time for everyone, fair pay, solidarity, etc. Jo said that the slogans on the image resonate with what Blueprint talk about. She also felt it makes you realise that we are still fighting some of the same issues today, such as equality and workers’ rights, have been around for a long time and is not really anything new. Jo added a second example – a series of photos of Tower Blocks that were demolished mid-1990s. She said it resonated with the recent sad events that occurred Grenfell Tower, and for her, tower blocks represent inequality, difficult living conditions and a society that isn’t very natural. Charles added that opposite those photos was a sculpture, the Monument for the Living, which he described as a large grey empty windowless icon but it represents a tower block built in Beirut, Lebanon in the 1970s. He explained that the building was never finished and so ended up being used by snipers during the Civil War in Lebanon. He compared it with Grenfell becoming an iconic sign for our society, but also a reminder that things can be used and misused. Referring back to Blueprint’s work, he said that business, as an entity, is neutral – it is what we do with them, for good or ill, and they can be used either way. 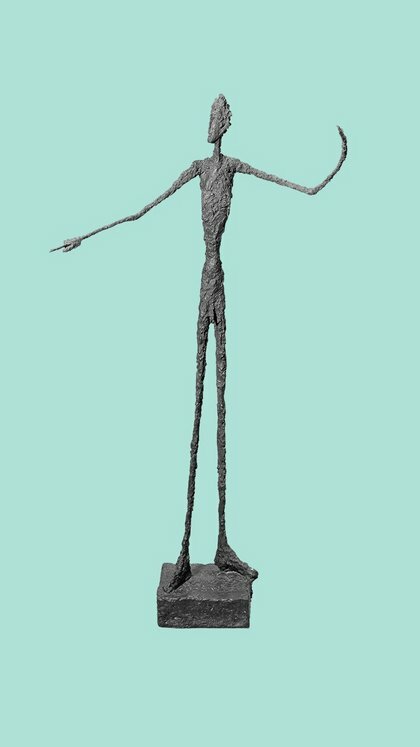 Norman chose this set of sculptures of tall thin elongated figures as he felt it showed the essence of what it meant to be human. He believes it exposes how fragile people are and that sense of understanding our humanity is fundamental to the work Blueprint. For example, referring to Grenfell Tower, he said that it was refurbished based on a cost proposal, without much of a degree of consideration of the humanity of the people who had to live there. Similarly, he believes humanity is missing from corporate life. Normal said that businesses managed and classify people as human resources, but with the emphasis on the resources element – it’s treating people as objects. He added that insecure work is bad for our health – people in the lowest level of work are four times as likely to suffer from stress related illnesses, such as heart disease or mental stability. Therefore, for Norman, this brings home what Blueprint’s mission is all about – through an understanding of a business’ purpose in society, to put people at the heart of that understanding, and what it means to be human is the first thought that we should have, yet we are so far away from that at the moment. Ruth chose this exhibit, which is a celebration of black art in the US as she is inspired by people who think differently. Outside the exhibition there were TV screens showing famous speeches by the likes of Martin Luther King and Malcolm X and Ruth said each of the people featured had a real vision of change – one of the things she takes inspiration from is when people think in leaps and in shifts. As it happens, Ruth is a member of the Tate and she said just walking into the building is inspiring. It was previously an old power station but the whole redevelopment of the Southbank and surrounding area, with all its art and culture, has made it a lovely place to visit. Norman added that art is about hope and he gave another example (away from of the Tate Modern) above the door of John Lewis on Oxford Street, London, is an installation of the Barbara Hepworth statue, the winged figure. He said that many people don’t even notice it, but it is there to inspire John Lewis’ people. Another area that was discussed in terms of getting out of the office to find inspiration was that of Nature and for Ruth, she finds nature reenergising. She explained that nature is all around, even in cities, and there are ways we can learn from nature, particularly in the way nature creates things. She cited biomimicry and looking at patterns in nature and how you can bring that in to the way organisations are set up. So for example, she said we tend to build things in pyramids, but that’s not the way that nature builds things. However, the other thing that she takes from nature is taking the time to slow down and being reflective, which is important, and so for example, Ruth now looks to do things like cycling or yoga – physical things that take you out of your mind and into your body and the space that creates for reflection. She added that nature is cyclical – it has bursts of energy in the spring and summer, then it slows down through a period of hibernation, then bursts of energy again. Yet we are always on the go, living in a frenetic world, so perhaps there is something to learn there as perhaps the way we work is not a natural way to be living. Norman picked up on the theme of nature, renewal and regeneration as he said that organisations are part of much bigger ecosystems and the extent to which they are either extracting value from that or contributing as part of a living system. He thinks that ultimately, if all you do is extract value and don’t contribute to putting something back into the system, then the system folds in on itself. So learning from nature, Norman said that one of the biggest challenges that senior executives now face is how we build businesses that have an enduring capacity for renewal, both as a business and within society. Charles plays piano, which he said gives him pleasure but also personal regeneration. He explained that playing the piano involves both your hands and you have to look at the music you are playing, this becomes totally absorbing. Charles feels that it therefore takes your whole brain and so you can’t be doing anything else whilst playing the piano. He added that it’s not that he thinks about work whilst playing, but it changes the way you think later due to unconscious things that go on. Ruth added that she had read that the point of music is not to get to the end, but being ‘in the music’, yet in the modern world we are so focussed with getting to the end, we are missing being on the actual the journey that matters. Norman said that Charles losing himself in the music is perhaps when he feels at his most human, but the contrast between that and the task driven objective focussed individuals we become when we’re at work seems a long way from that epitome of humanity. He therefore brought this part of the discussion back to what he believes Blueprint are asking people to think about, i.e., creating environments that we can be our most human. The final part of the podcast focussed on what we can learn from history to help provide inspiration. Norman therefore talked about Venice in the 12th Century that was the trading capital at the time. He explained that they had a system whereby Nobles and the rich sponsored young entrepreneurs – the boat captains – paying for their voyages to discover new silks or spices, and when they returned, the profits were split 50:50. This allowed these people who worked on the ships to progress to more senior levels of Venetian society, creating an inclusive and vibrant economy off the back of it, which for 200 years dominated the world. However, in the 14th to 15th Century, this practise was stopped, which coincided with the end of Venetian dominance. Therefore, when Christopher Columbus looked to raise money to sponsor his voyage to the ‘New World’ and was refused from the Venetians, he went to the Spanish courts who said yes and subsequently the Spanish and the British brought the riches of the new world back to Europe, none of which went to the Venetians and by the end of the 19th Century, Venice was sinking into the sea! Norman said that there are lots of lessons that can be learned from this part of history around the kind of inclusive society you need, power of social mobility and the vibrancy that creates. 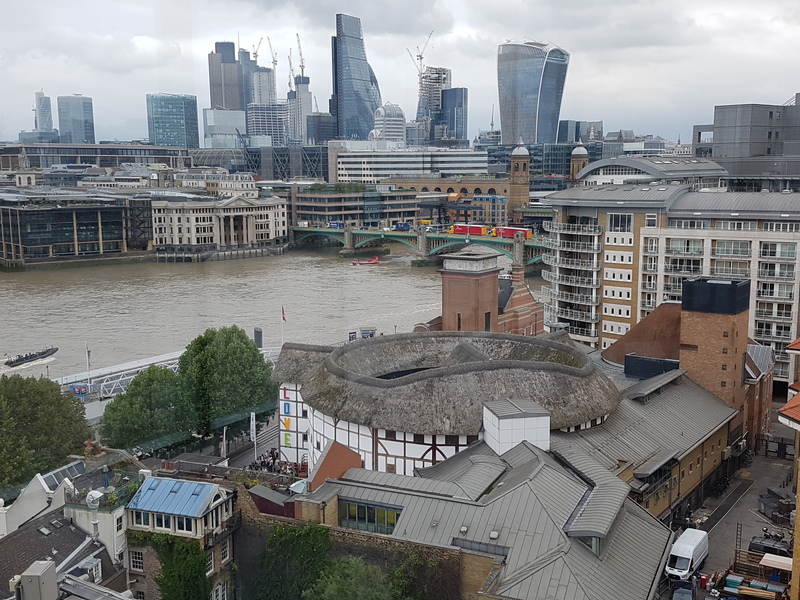 He added that looking out across the City in London from Tate (below) he believes the level of mobility in the UK has gone backwards year on year and is at one of its worse levels in the past 20 years. He therefore said those lessons from the Venetians shine a light on whether we are running things in a sustainable manner. Norman: Nature thrives because it’s going through a constant process of renewal and the same is needed for human beings. They need to go through a process of reflection, of regeneration and of renewal and the question is where you get the raw materials to feed that within you. Norman doesn’t believe that’s possible by just staying in the same environment. Ruth: You need to constantly broaden your perspective. Feeding your energy – people must connect with themselves – direct it into something that is positive and gain inspiration. Jo: Become the best person you can be, use your environment to support you to become what you can be, do something that is true to what you can believe in. Acknowledge that places that we work feel very unnatural and that contrast between when you feel you are being your true self and when you are at work is a really big distance, so take control of that and do something about it. Charles: Tate Modern represents an amazing thought of creativity. There is something about tapping into creativity and our desire to innovate and the potential of the future. There are therefore ways of becoming better versions of ourselves or realising potential change for the good of society and business has to be part of that. All previous shows of the csuitepodcast series are available on this website as well as Soundcloud, iTunes, TuneIn and Stitcher. There is also a growing community on Facebook and Twitter, where you can get involved in the discussion. Finally, if you subscribe to the show, please can you give it a positive rating and review on iTunes in particular as this helps it up the charts! Thanks to global media intelligence provider CARMA for supporting the series. Visit carma.com to find out more about how they can help you deliver actionable insights through media monitoring and PR measurement.